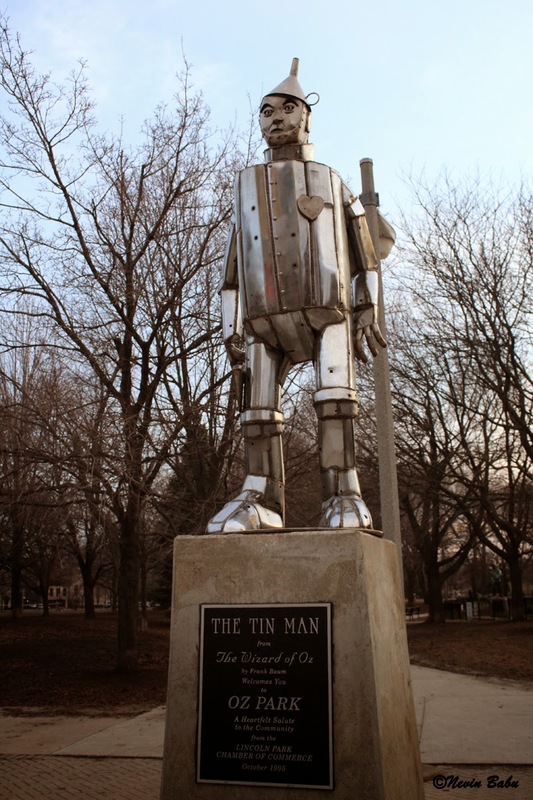 The Tin Man sculpture was installed in Oz Park, Chicago in 1995. Tin Man is one of the beloved characters from the novel, The Wonderful Wizard of Oz, written by L. Frank Baum (1856–1919) in 1900, when he lived in Chicago. The story was immortalized by the MGM movie The Wizard of Oz in 1939. 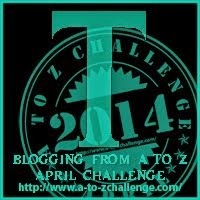 This post is for A TO Z Challenge, where there will be a post every day in April except Sundays corresponding to each letter of the alphabet. THEME: "In and around Chicago" - All the pictures in this series are monuments, sculptures and fountains shot at various parks in Chicago. View the entire pictures in this sequence here. I love your photograph of this statue. Brings the movie to life. Neat picture! But does he rust? Very nice though I'm betting I would be a little more than unnerved walking into him at night!